With the 42nd federal election almost coming to a close, a look at indigenous candidates who have entered the race, platforms and ridings to watch. Who are the indigenous candidates and what are the parties offering indigenous voters? Since Conservative Angus Mckay — who was Métis — became the first indigenous person elected to Canada's parliament in 1871, Indigenous Peoples have entered the realm of federal politics in increasing numbers. With the 42nd federal election almost coming to a close, here's a brief look at the party's indigenous candidates, platforms and some ridings to watch. Between the Conservatives, Green Party, Liberals and NDP, a total of 54 indigenous candidates are running in the 42nd federal election. That's up 23% from the 2011 election, when there were 31 indigenous candidates in those same parties. What are they offering Indigenous peoples? Here's a look at indigenous-specific items being offered to indigenous voters. Commit $567 million over five years to help build "stronger communities." $500 million toward building and renovating schools on reserves. Implement the United Nations Declaration on the Rights of Indigenous Peoples. Restore the $5.1 billion commitment and specifics of the Kelowna Accord. Work with aboriginal groups to create an Aboriginal Lands and Treaties Tribunal Act that deals with land claims, negotiations, etc. Immediately implement lands claims agreements already negotiated and that may have stalled due to lack of funding. Ensure that any self-government negotiations do not lead to extinguishment of aboriginal title and rights or assimilation. Fully implement the recommendations of the 1996 Report of the Royal Commission on Aboriginal Peoples. Remove the 2% funding cap on First Nation education and fully fund the program back log ($424 million). Ensure that governments and corporations honor and abide by the Sparrow Decision (which recognizes the aboriginal right to fish) as well as the Tsilhqot'in ruling, which recognizes aboriginal title. Negotiate and legislate primary hunting, fishing, trapping, and logging rights for aboriginal peoples on traditional lands. If pushed by First Nations, work to scrap the Indian Act. "Nation-to-nation talks" on improving gap in First Nations education. Initial funding of an extra $515 million a year for core education in First Nations schools (K to 12) for a total of $2.6 billion in new funding over four years. Will work with provinces and territories on improving urban schools where First Nations are large sector of population. Implement the Kelowna Accord "in a manner that meets today's challenges." Immediately launch a national public inquiry into missing and murdered Indigenous women and girls in Canada. Enact the 94 recommendations of the Truth and Reconciliation Commission, including the adoption of the United Nations Declaration on the Rights of Indigenous Peoples. Development of a "Federal Reconciliation Framework" with mechanisms to resolve grievances associated with existing historical treaties and modern land-claims agreements. Conduct a full review of legislation unilaterally imposed on indigenous peoples by the Harper government. The Liberals also vow to begin a new nation-to-nation relationship with the Métis, including the settling of land claims and improving federal funding agreements for programs and services. While on a pre-campaign stop in Winnipeg, Liberal leader Justin Trudeau vowed to contribute the federal funding needed build a road for the Shoal Lake 40 First Nation. Remove the 'punitive' two per cent funding cap imposed and maintained by previous Liberal and Conservative governments. Increase investment in First Nations by $1.8 billion over the next four years and $4.8 billion over eight years based on an annual escalator. Improve critical infrastructure in indigenous communities, including clean water and sanitation facilities, with $375 million over four years. Provide $96 million over four years and long-term funding of $800 million over 20 years to support infrastructure projects. Call an inquiry into missing and murdered indigenous women within 100 days of taking office and provide $50 million to support it. Commit $68 million to revitalize indigenous languages. Improve health services available for indigenous people living in urban centres with an investment of $120 million. Mulcair also outlined initiatives he previously announced on the campaign trail that would indirectly affect indigenous people, including billions of dollars for affordable housing initiatives, a $100-million Mental Health and Innovation Fund for Children and Youth, which would include $5 million for a suicide prevention strategy for at-risk populations, of which First Nations, Métis and Inuit are a part. The NDP leader also reiterated a pledge he made during a campaign trip to Iqaluit, during which he promised that a New Democratic government would invest $32 million to improve and expand Nutrition North, which increases access to healthy and sustainable food for isolated northern communities. Churchill-Keewatinook Aski: Liberal indigenous candidate Rebecca Chartrand will attempt to unseat the NDPs Niki Ashton in a northern Manitoba riding with a huge indigenous population. Desnethé-Missinippi-Churchill River: As it was in 2011, a riding where three candidates are indigenous. Conservative Incumbent Rob Clarke will defend his seat from candidates Lawrence Joseph (LPC) and Georgina Jolibois (NDP). Kenora: Bob Nault, a former Liberal Minister of Indian Affairs, will attempt to unseat Conservative Greg Rickford. The NDP say they're going after this riding hard and are running Howard Hampton, a former party advisor for the Ring of Fire -- a planned chromite mining and smelting development. Labrador: Peter Penashue (Innu) attempts to regain the riding for the Conservatives, after resigning in 2013 following a controversy over spending irregularities. Penashue lost a by-election to Liberal Yvonne Jones (Innu) that same year. Nunavut: Incumbent Leona Aglukkaq (CPC) is defending her seat against two fellow Inuit challengers that include former MP Jack Anawak (NDP) and former long time MLA Hunter Tootoo (LPC). Peace River-Westlock: Former Assembly of First Nations regional chief Cameron Alexis (NDP) attempts to take a newly formed riding that only came into effect during the 42nd federal election. Vancouver-Granville: Jody Wilson-Raybould, a regional chief for the Assembly of First Nations, is running in a newly formed riding. 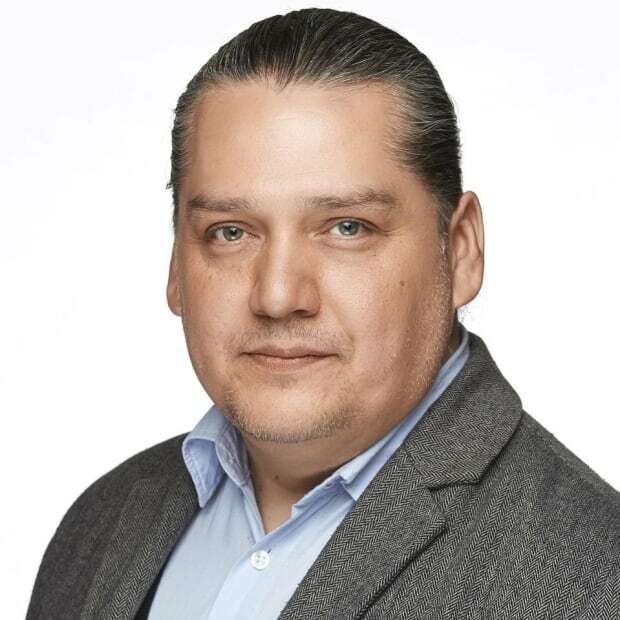 Winnipeg Centre: Former Winnipeg mayoral candidate Robert-Falcon Ouellette (LPC) will attempt to unseat long-time MP Pat Martin (NDP) in a riding where over 13,000 - or 20% - of voters are indigenous. We initially reported that Yvonne Jones, a Liberal Party candidate in Labrador, was of Métis heritage. In fact, she is of Inuit heritage. We initially reported that Edward Rudkowski, an NDP candidate in Labrador, was of Innu heritage. In fact, he is of Inuit heritage. Tim Fontaine is a Winnipeg-based writer who has worked for APTN National News and CBC Indigenous. You can follow him on Twitter: @anishinaboy.